The launch event for Honor's two new smartphones is set to take place in London at 8 pm IST today. At the Honor 7X launch, Huawei's sub-brand will be unveiling its next budget smartphone offering for its Indian market in the form of Honor 7X. While the smartphone has been launched in China earlier, the excitement around its launch is largely based on the features that the smartphone carries at its price points. Even at its budget price tag, Honor 7X boasts of an 18:9 aspect ratio near bezel-less display as well as a dual-lens camera setup at the back. Meanwhile, the Honor V10, Honor's premium offering, will take on the likes of OnePlus 5T with its 20-megapixel + 16-megapixel dual camera setup and a 5.99-inch Full HD+ display. 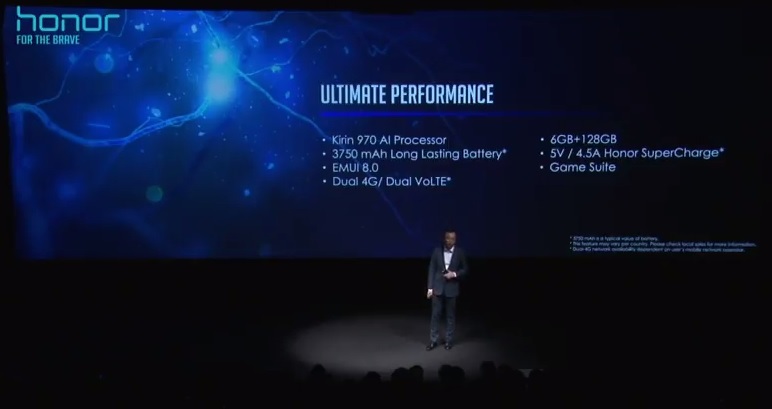 The Honor 7X will be powered by Honor's own HiSilicon Kirin processor. 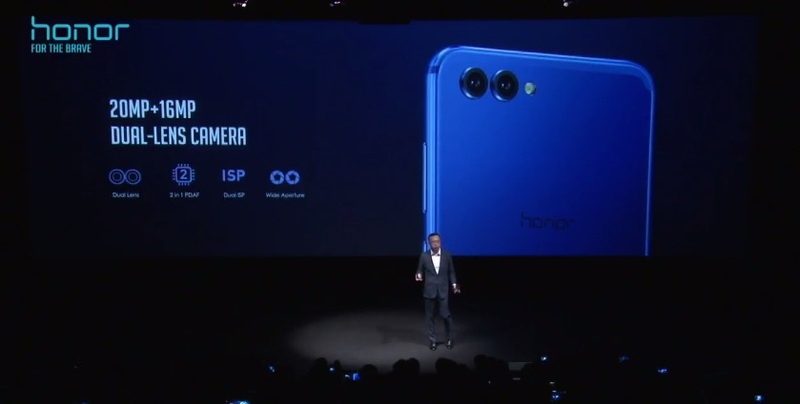 The Honor Global Launch event has come to an end. Thanks for joining us. Do read our launch stories of both the smartphones to know all about them. 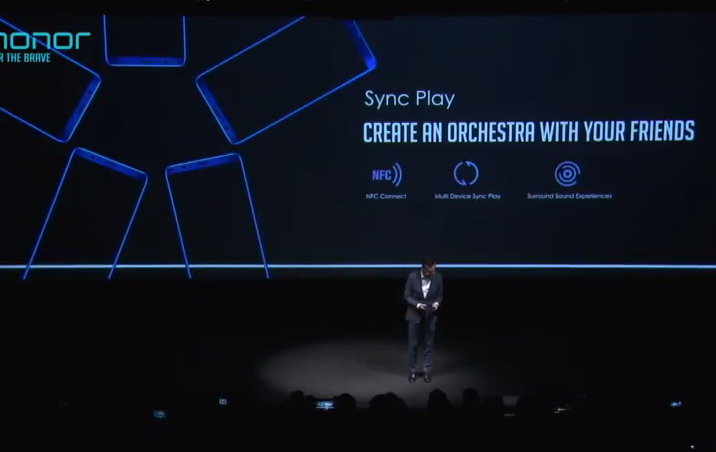 Honor brings Sync Play, to play orchestrated music through different smartphones. 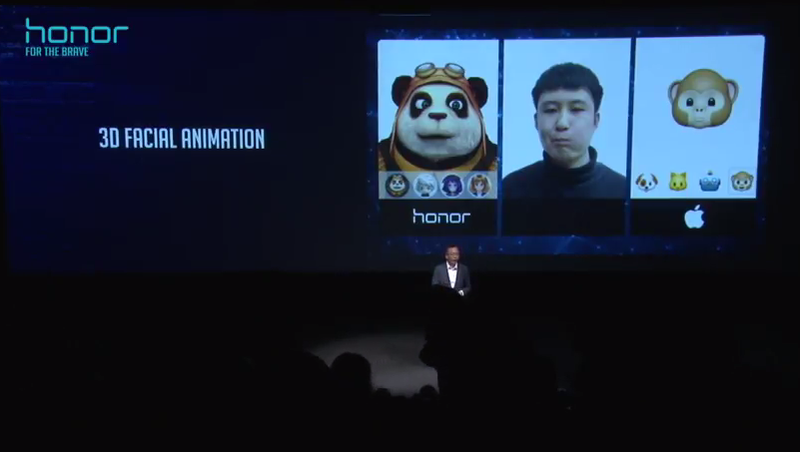 Honor introduces Apple iPhone like 3D Facial Animation. 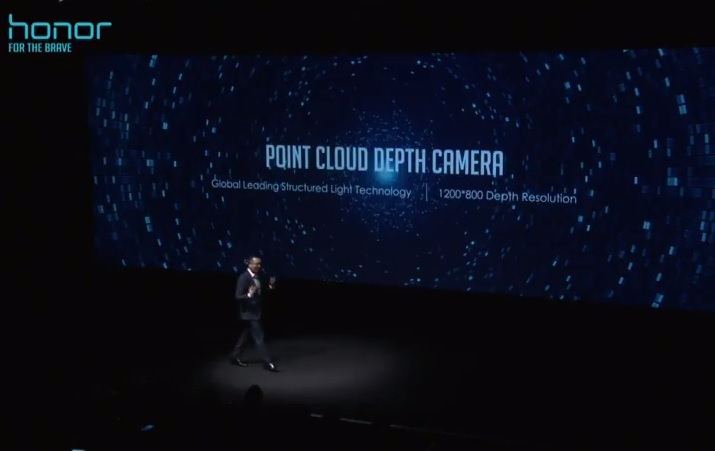 George Zhao introduces Point Cloud Depth Camera. 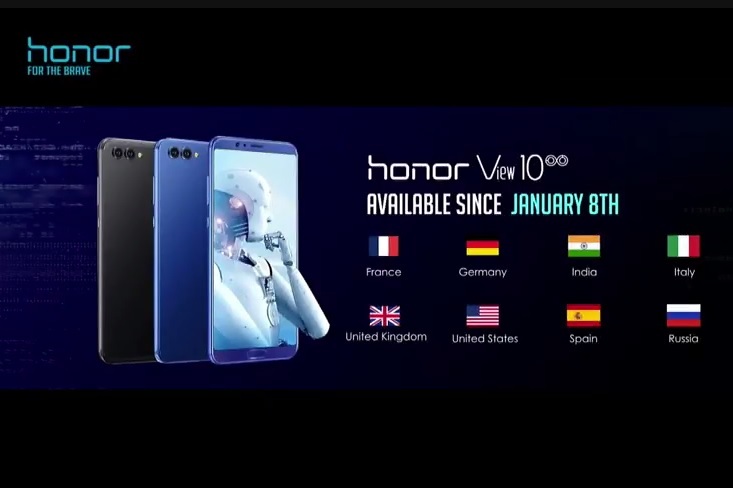 Honor V10 will be available in the following countries starting January 8th. 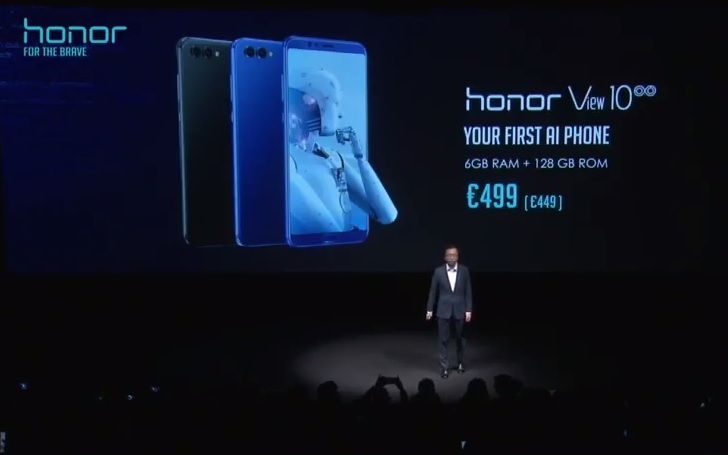 Honor V10 with 6GB RAM, 128GB storage will be available at a price of 499 Euros. 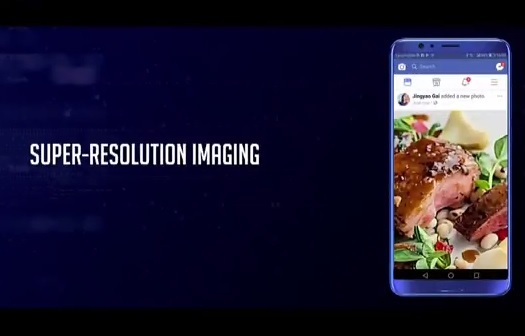 At the front, the Honor V10 sports a 13MP selfie camera with 'Intelligent Portrait Recognition'. 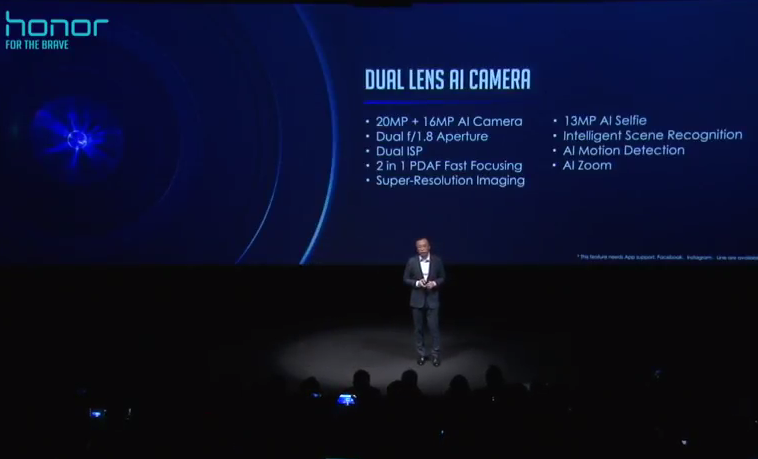 The dual camera setup on the Honor V10 carries Intelligent Scene Recognition capability. Honor V10 comes with a 20MP+16MP dual-lens camera setup. Honor V10 comes with a 6GB RAM and 128GB internal storage. Also runs the EMUI 8.0 and supports dual 4G and dual VoLTE. 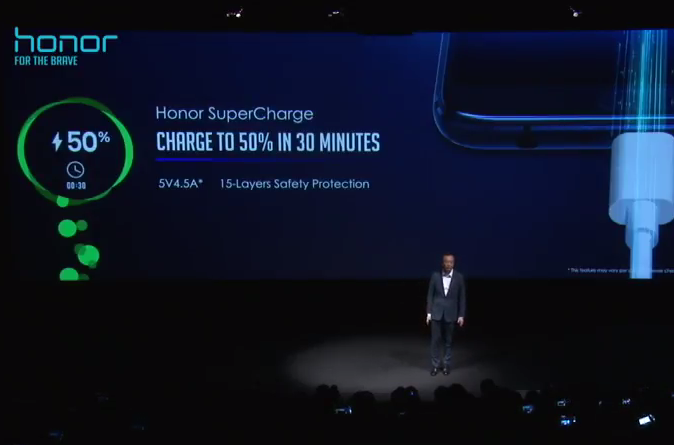 Honor V10 carries 'Supercharge' capability in its 3750 mAh battery. 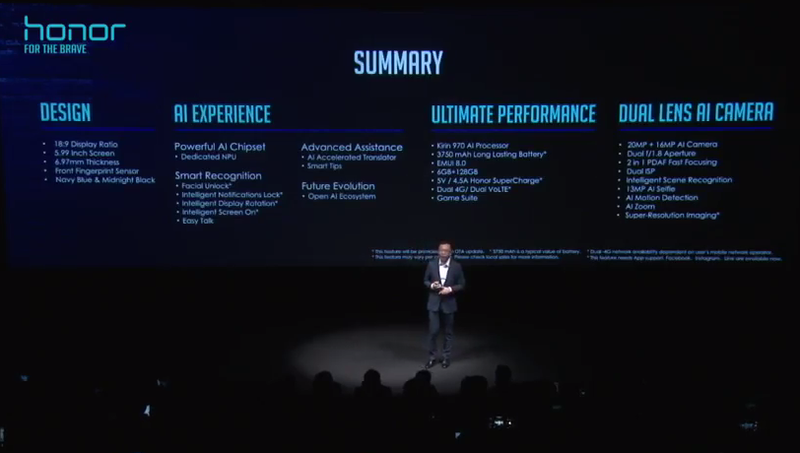 The list of AI features embedded into the Honor View10. 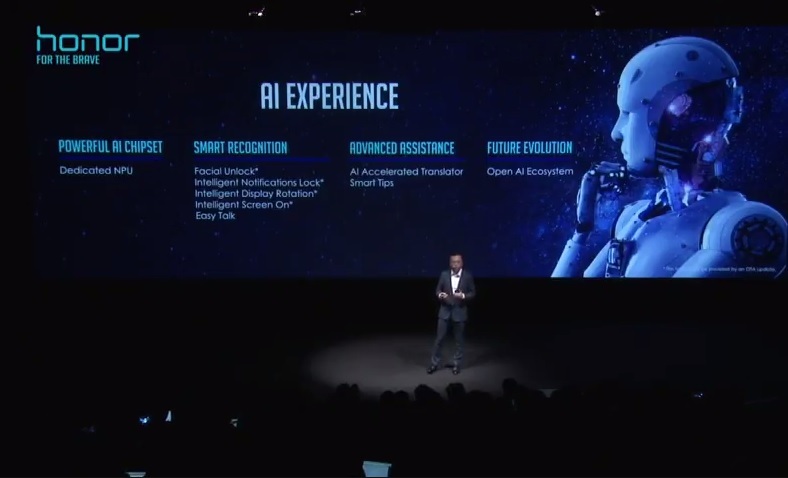 Hononr V10 encorporates an open AI ecosystem. 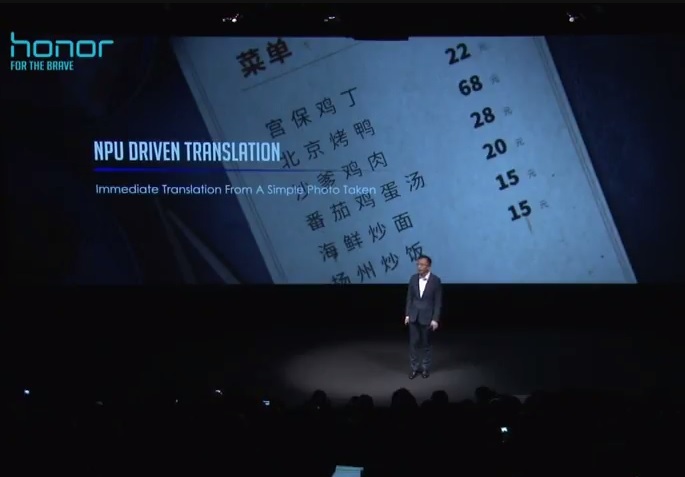 Honor View10 will allow the translation of an image to text with its AI. 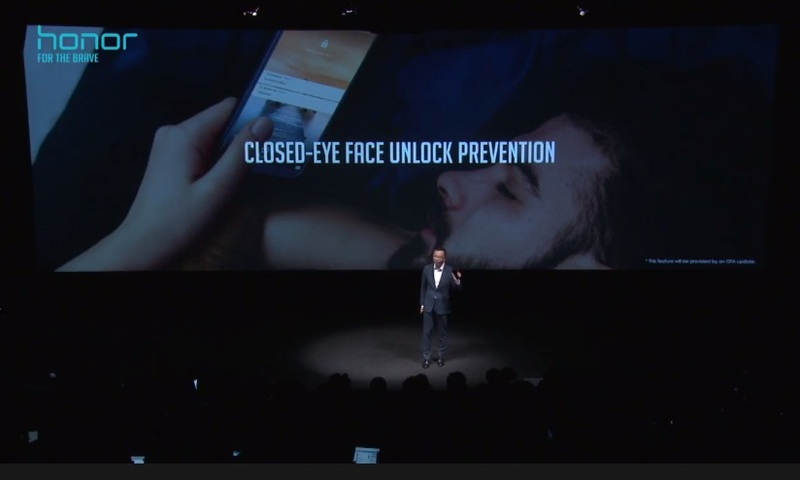 Honor V10 comes with closed eye face eye protection. 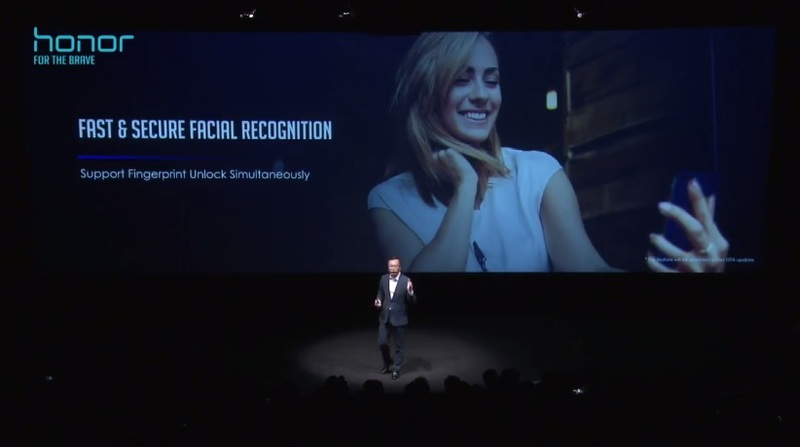 Honor V10 comes with facial recognition for security. 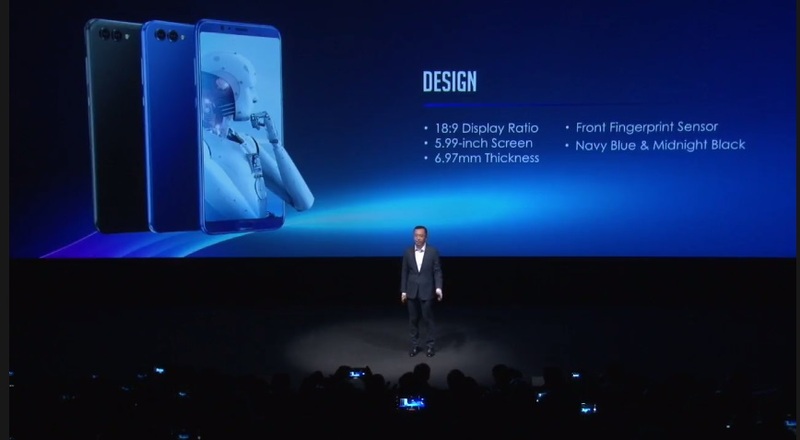 Honor V10 carries a 5.99-inch Full-HD+ display with an 18:9 aspect ratio in a 6.97 mm thick body. 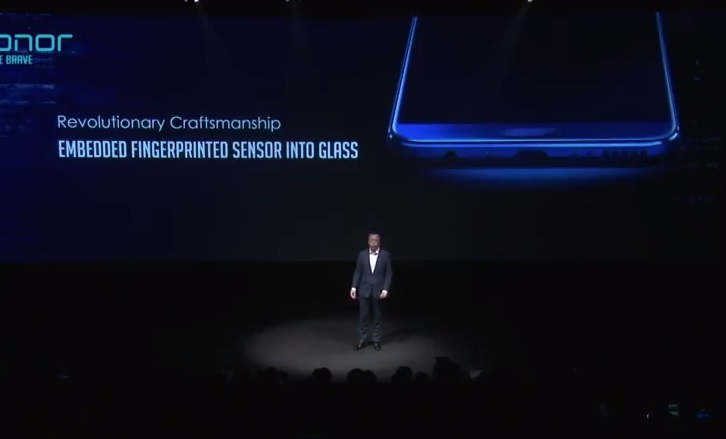 The fingerprint sensor on the Honor V10 is embedded into its glass. 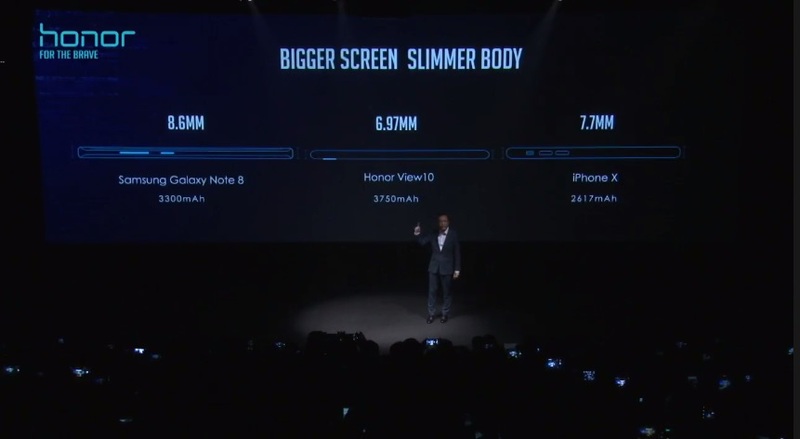 Honor View10 comes in a smaller thickness than the Galaxy Note 8 and the iPhone X and yet carries a larger battery. Honor View10 will come in a metallic body in two colour options - Pure Blue and Pure Black. 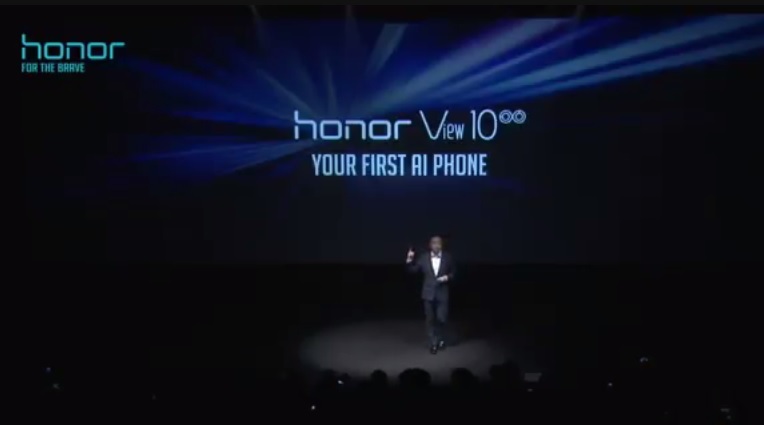 Honor unveils Honor V10 as the first AI phone. 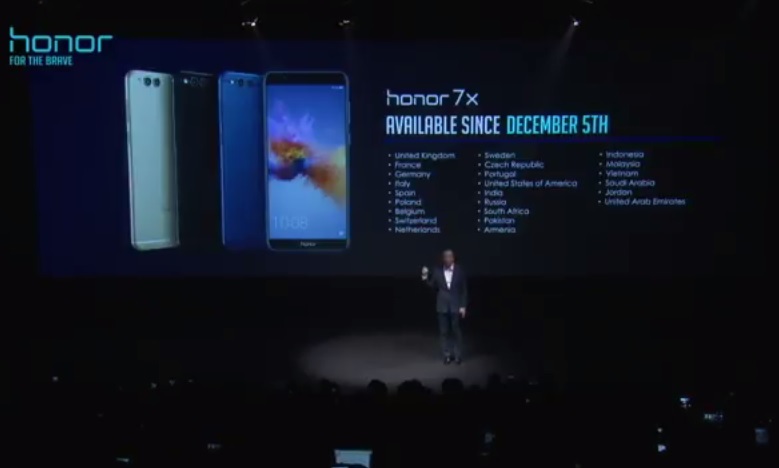 Honor 7X will be available in the following countries, starting December 5.